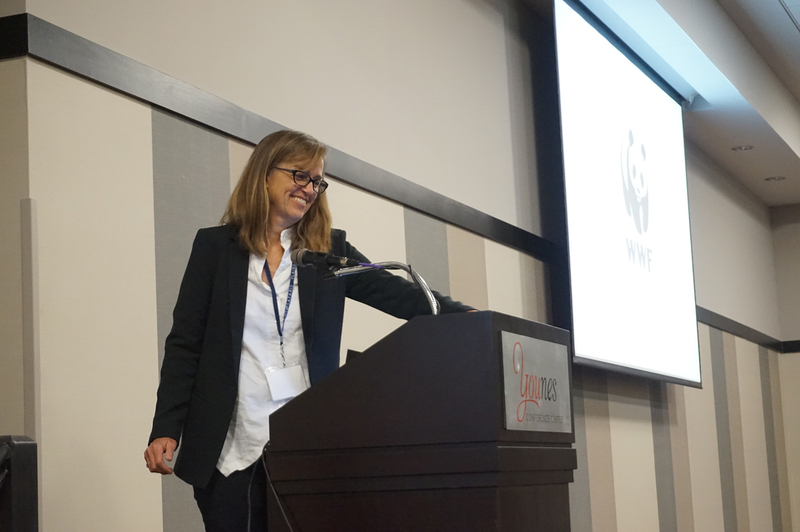 At the recent Plains Safaris ecotourism conference, Martha Kauffman, Managing Director, World Wildlife Fund’s Northern Great Plains Program, talked about plow up, why the plains are important, and new projects that may shape the future of the region. The following includes some highlights from her talk. 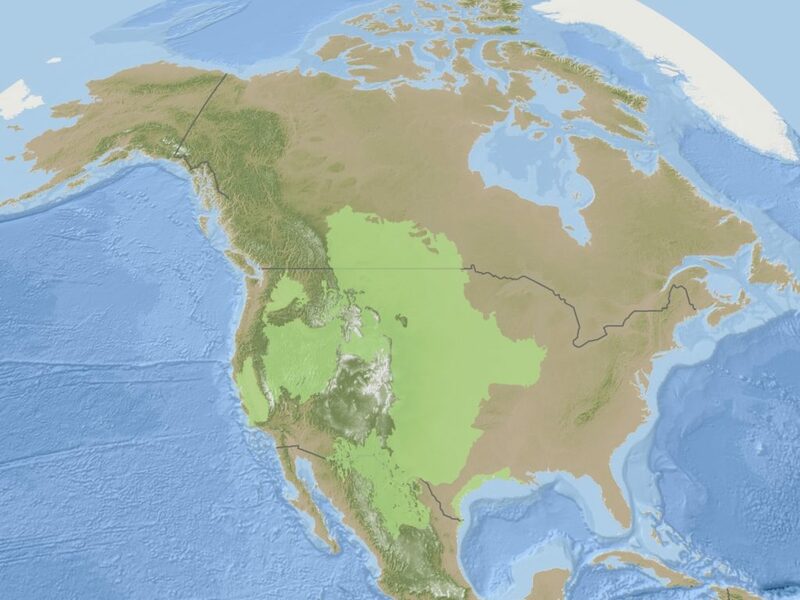 “This is a map of all the grasslands of North America and I just love it because I think it shows you what a huge part of North America grasslands are. This is a significant biome on this continent. And once again it’s not one that most people are very aware of or talk much about. And in the Northern Great Plains, Kauffman said, about two-thirds of that grassland is still intact. So why is it important to conserve it? 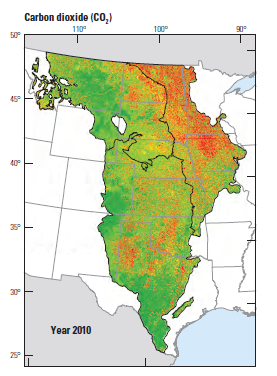 The green areas on this map are sequestering carbon and red areas are emitting it. The intact grasslands are holding onto and sequestering carbon. Grasslands filter the water that comes through the heart of the continent. Where there are intact grasslands (mainly in the west), there’s fewer problems with water quality. Our iconic animals have a lot of superlatives. The largest land mammal (bison), the fastest mammal in North America (pronghorn), the most endangered mammal in North America (black-footed ferret). 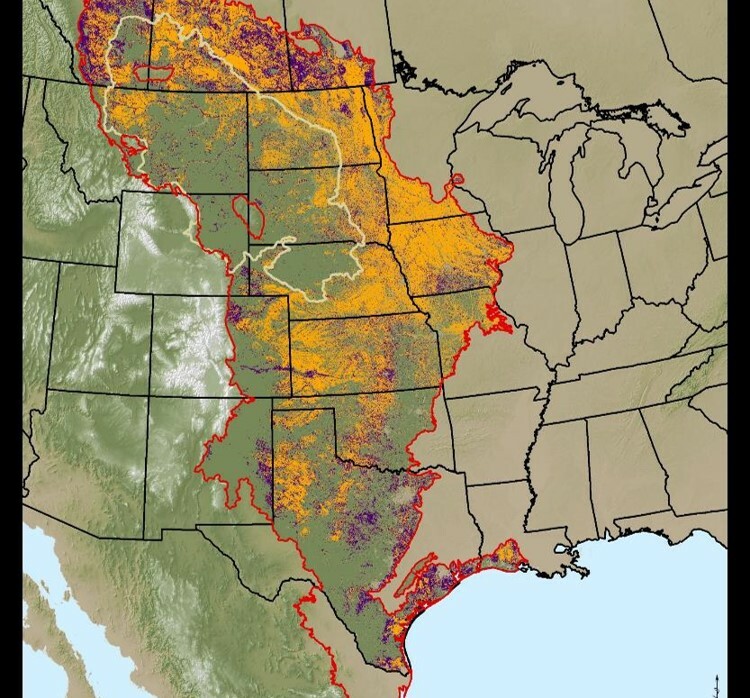 This map looks at the abundance of native species remaining. 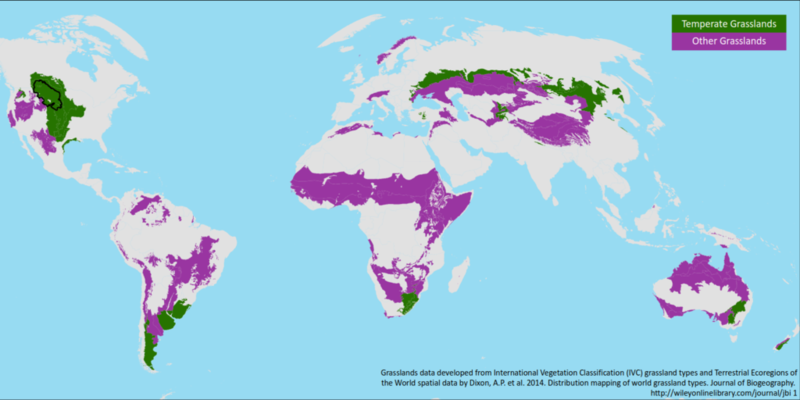 “The black areas where there is the greatest impact to the abundance of native species remaining are grasslands. And you’ll see the Great Plains kind of pop out there. This is not something to be proud of, obviously, but it’s something for us to aspire to and be aware of that we’ve had a big impact on the native species abundance in this region,” Kauffman said. 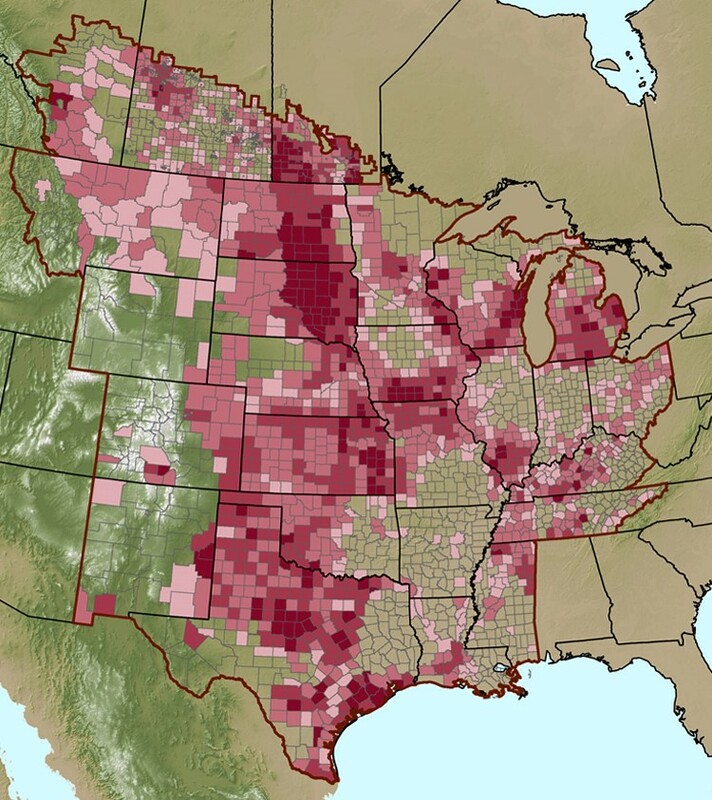 This is a map from WWF that shows grassland loss from 2000 to 2016 and the percent of grassland, shrubland, and wetland lost by county over that period (darker the color, the more the loss). A lot of the recent plow up has been occurring along the Missouri River, in the Dakotas, and some areas further south. The orange in this map is the land that was plowed in 2016 – 2.5 million acres converted. The purple was turned back into grassland. “I actually have a lot of hope. There’s a lot of good things happening out there. A lot of really exciting and innovative things,” Kauffman said. Because a lot of the land is privately owned, we’ll want to work with landowners on conservation strategies. We also need to work with tribal communities. 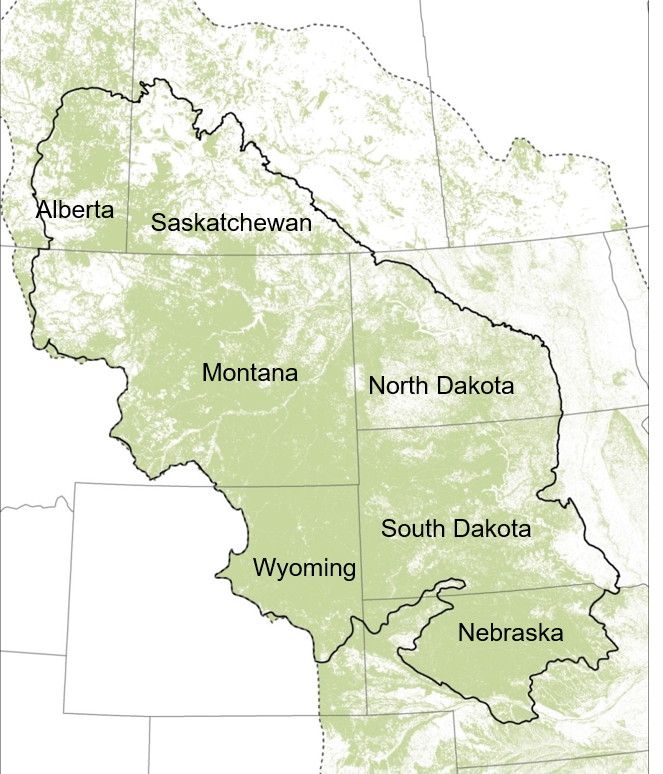 They hold about 10 percent of the land in the Northern Plains, but they’re in really large chunks. They’re managing those lands independently and they face financial challenges doing so. “But they’re also really committed to conserving it,” she said. Land stewardship coalitions: especially those with representation from the public and private sectors. A pdf of Kauffman’s presentation is available on the Plains Safaris website.